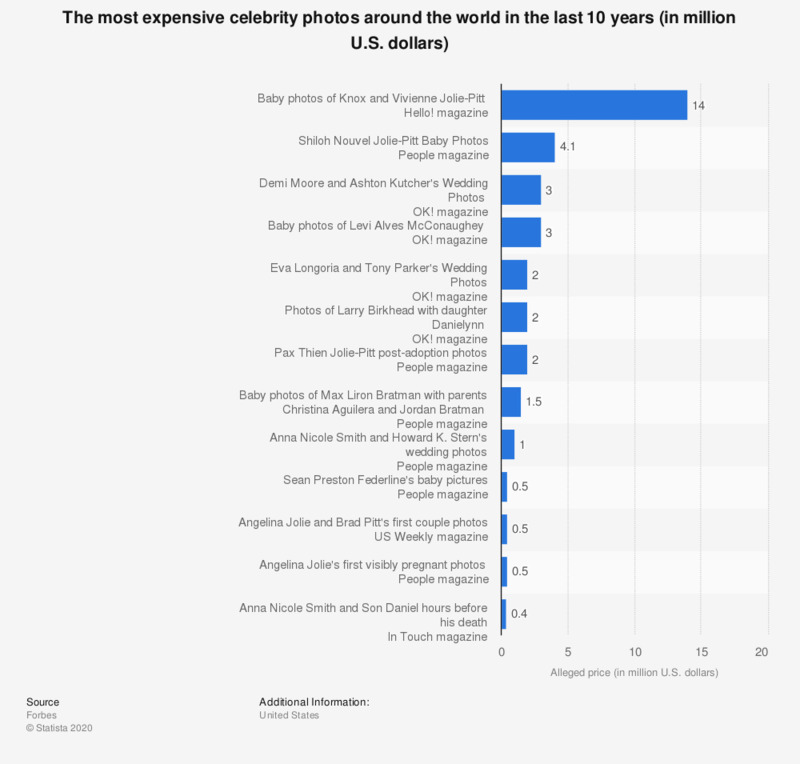 This statistics shows the most expensive celebrity photos worldwide. The price reportedly paid for the wedding photos of Eva Longoria and Tony Parker was 2 million U.S. dollars. The source states: "Since the entertainment magazines are notoriously tight-lipped about such sales, we were forced to rely on published reports and only considered photo sales where information was available."